Bitcoin: A Complete Overview – A World Monetary Revolution Or A Speculative Bubble About To Burst? By now, many people have probably heard of the word Bitcoin, but chances are that 99% of the world’s population still has no idea exactly what it is or how it actually works. Not only are most completely uniformed when it comes to this new technology, but there is a wide range of differing opinions as to what will come of it, even amongst those within the Bitcoin community. 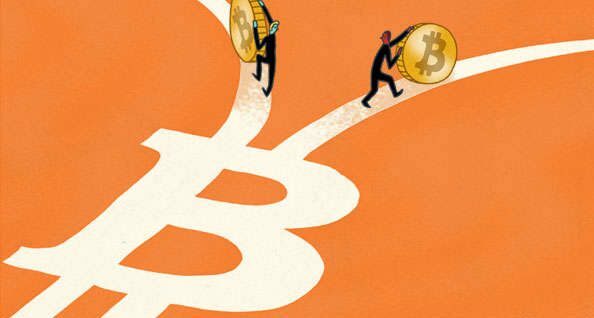 Some highly prominent people have praised it, calling it the “money of the Internet” and offering some very bold statements as to the true paradigm shift that could manifest if Bitcoin proves to be successful. 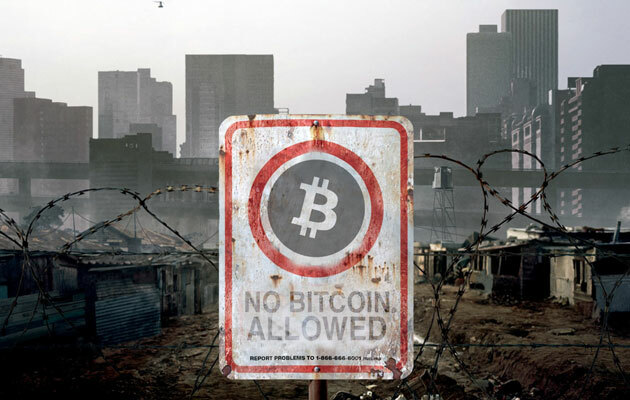 Others however, have not taken too kindly to Bitcoin and its possible integration into society. In fact, Bitcoin has been declared “dead” an astonishing 101 times since it’s inception, with plenty of negative statements being made along the way by some very recognized names in economics and finance. Let’s just say that there is a lot to be explored when it comes to this highly technical and completely innovative technology that ultimately plays at the very core of our ideological beliefs about social design and human freedom. In order to develop any type of coherent opinion on the subject, it’s important to first understand what Bitcoin is, how to use it, its history, it’s strengths/weaknesses, and what the future might hold for this mysterious financial instrument. It’s time to dive deeper, so that everyday people can grasp a full understanding on exactly what Bitcoin is, and could be. At this point, the technology has too much potential to simply ignore without at least taking an honest look to see what’s there. Note: Please be aware that this is researched to the best of my knowledge, but in no way should it be taken at 100% face value. Do your own research and expand upon it to come to your own conclusions, as it should be with any other topic. There are a plethora of sources listed below for anyone to dive into further. There has been a lot of debate as to how exactly to define Bitcoin. There are really two schools of thought, with some, like the Commodities and Futures Trading Commission (CFTC) and IRS, referring to it is as commodity; while others, like the SEC, referring to it as a currency. In reality, Bitcoin can really be looked at as both a commodity and a currency, similar to gold, which is commodity money, since it can be used as money or held as a global monetary asset. Despite the disagreement, most people today, mainstream or not, understand it is a decentralized payment system that uses its own digital crypto-currency as the units of exchange in transactions, instead of national currencies. At its core, it allows users to interact directly with each other anonymously in an open source peer-to-peer network without the need for a central authority to maintain and control the system, or 3rd party intermediaries to facilitate transactions. This comes in stark opposition to the current payment network, where centrally controlled private banks and governments maintain/control the systems. Banks also act as 3rd party clearing houses (middlemen) for most of the world’s financial transactions, tracking people’s every financial move and taking small cuts every step of the way. Essentially how Bitcoin works is that people transact directly with each other using Bitcoins. Then a decentralized network of nodes that run Bitcoin software verify those transactions and record them in a publicly distributed ledger called the Blockchain. Basically, the Blockchain is the record keeping file for the entire Bitcoin system, similar to how individual companies account for their transactions in a ledger. An easy way to think about the Blockchain is to think of it as a public ledger that anyone can see, which lists every Bitcoin transaction that has ever occurred since its inception (referred to as the Genesis Block). The Blockchain consists of a chain of individual blocks (files of data), which are no bigger than 1MB in size. Each block represents a record with some or all of the recent transactions that have already been verified by the network. Once a new block is completed, which is roughly every ten minutes at the moment, it is then added to the forever-expanding Blockchain. Once a block is solved/completed, other nodes verify it is correct, which if confirmed, then pass the message along the other nodes. The nodes then update their ledgers and a new block is generated for the network to solve. Blocks are linked together in proper linear, chronological order with every block containing a hash of the previous block. This prevents people from creating new blocks prematurely, since it must contain a hash from the previous one first. The Blockchain is considered by many to be the revolutionary technology behind Bitcoin. In most ledgers and payment systems, all the storage devices are attached to a common processing unit that is controlled by a private, central database, which only allows users access to his or her own transactions. However, the Blockchain technology is a decentralized network of thousands (maybe millions) of computers who all have access to the open source Blockchain software and all help store, maintain, and process all the transactions within this one network. Basically, it is the difference between a private, centrally controlled payment system that uses trusted third parties vs. an open, decentralized payment system that is directly peer-to-peer and maintained by those peers. 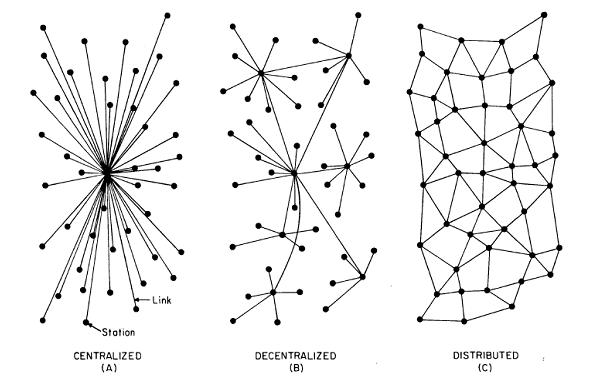 The decentralized network is made up of nodes (computers/Supercomputers), which currently there are approximately 6700+ nodes worldwide. Each node gets a copy of the Blockchain, which gets downloaded immediately upon joining the Bitcoin network. The nodes are referred to as “miners,” and it is the miners who are responsible for making sure transactions are verified (creating new blocks) and that the Blockchain is constantly updated and correct. 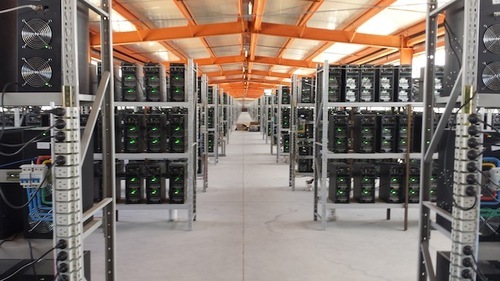 Bitcoin Mining can be somewhat compared to gold mining in that it is expanding energy and resources (computer power and money) to verify transactions, which results in Bitcoin rewards (gold). Some people actually refer to Bitcoin as digital gold, which is a fair thought to ponder; especially if the system is implemented correctly. As compensation for their work in maintaining the system, miners are rewarded with newly created Bitcoins that are adding to the total supply, as well as optional transaction fees that can be given by senders to increase the likelihood of their transactions get processed faster. Currently, solving one block is worth about 25 Bitcoins for the miner. Due to increased competition, start-up and electricity costs, and highly specialized technology, most miners belong to a mining pool, where they work together to solve blocks and split the costs and profits rather than going at it alone. It’s safe to say, that it is almost impossible to mine Bitcoins on your own now (at least to make a living) without belonging to a pool or without using purpose-built hardware specifically for Bitcoin mining. Transactions are verified (mining) through a process where nodes (miners) compile groups of unconfirmed transactions into blocks and then aim to solve one of those blocks by finding the answer to a very special mathematical problem. The mathematical problem in each block is extremely difficult to solve, but once a valid solution is found, it is very easy for the rest of the network to confirm that the solution is correct. They confirm these transactions by compiling through the whole Blockchain of transactions to make sure that there is a sufficient amount of unspent transactions (inputs) that add up to the amount sent (output), as opposed to checking user balances, which don’t exist in the Bitcoin network. It’s like digging through an archive of transactions vs. looking at fluctuating accounts. There are multiple valid solutions for any given block, but only one of the solutions needs to be found for the block to be solved. Essentially, solving these math problems is like guessing the lock combination to a locker, and the first one to guess it right wins, and their block becomes the next in the Blockchain. It would take a typical computer several years to solve one block, but with all the computers in the network guessing at the same time, it takes about ten minutes on average to solve. The network automatically adjusts the difficulty of the mathematical problem, so that the target of solving an average of 6 blocks per hour is maintained. To accomplish this, every 2016 blocks (solved in about two weeks) all Bitcoin clients compare the actual number created with this goal and then modifies the target by the percentage that it varied. The network comes to a consensus and automatically increases (or decreases) the difficulty of generating blocks. The randomness in the math problem spreads out the likelihood that any one person or mining pool will continue to be the one to find the solutions, decentralizing rewards and power within the system. However, it is possible for the chain to have temporary splits, like if two miners arrive at two different valid solutions for the same block at the same time, unbeknownst to one another. This creates two different paths for the Blockchain. The peer-to-peer network is designed to resolve these splits within a short period of time, so that only one branch of the chain survives. It does this by accepting the ‘longest’ chain of blocks as valid. The ‘length’ of the entire block chain refers to the chain with the most combined difficulty, not the one with the most blocks. This prevents someone from forking the chain and creating a large number of low-difficulty blocks, and having it accepted by the network as the “longest.” The mathematics behind the process can be quite complex, so anyone looking to go further will have to do some additional research on their own. The resources are all there for anyone to see; it just takes some time and effort to get your head around it all. Unlike a central bank, which can print as much money as they want (clearly showing that by QE to infinity), the total supply of Bitcoin is capped at 21 million. Despite the scarcity in supply, Bitcoin can be broken all the way down into one hundred millionth of a Bitcoin (.00000001btc), often referred to as a satoshi. To unravel the entire supply in a fair and equitable manner, the number of Bitcoins generated per block starts at 50 and is halved every 210,000 blocks (about four years). Currently, there are around 409,700 blocks and almost 15.5 million Bitcoins already in existence, with the 21 million-mark set to happen around 2140. 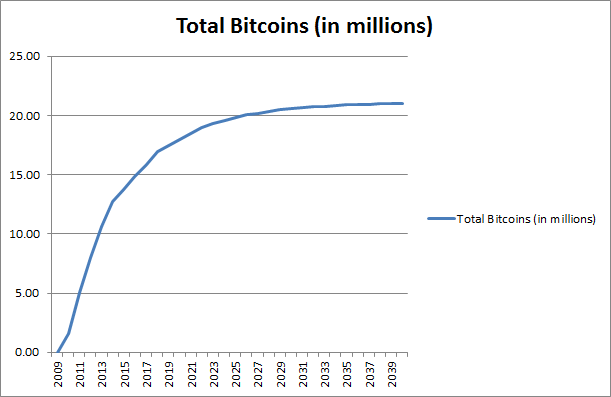 In fact, the next halving of the Bitcoin supply is set to occur in the July 2016. As the Blockchain goes further in time and there are fewer newly created Bitcoins to be mined, transaction fees will thus increase and become the sole source of income for miners. Miners will always be needed, even after all 21 million Bitcoin are introduced, because new blocks will always be needed to verify current Bitcoin transactions and keep the system running, accurate, and efficient. Another thing to note is that Bitcoin will eventually be a deflationary currency, being that supply is capped and unfortunate incidents such as hard drive crashes and losses of private keys will forever displace Bitcoins from the network. There is no place to appeal to get them back or programs to retrieve lost blocks, making it important people backup and secure their data. Bitcoin is a pseudo-anonymous currency, meaning your real name is not being used, but instead is an address. Though people will not see your name, they can identify every transaction made through that address since the Blockchain is public. Some online exchanges where you can buy Bitcoin require by law that you give your personal information, but it wont be seen in the actual Blockchain. However, there are plenty of extra security measures that can be taken to make you almost completely anonymous, such as creating a new Bitcoin address for every transaction, which is actually incredibly simple and quick. With Bitcoin addresses being a 32 number sequence, the number of possible transaction is virtually infinite (> 700 million trillion x 8). People can also use the Tor network, which hides your IP address and makes it incredibly hard to track down, which obviously can give rise to the possibility of black-markets both good and bad. The other major security benefit is that the system relies solely behind mathematical algorithms that are open source and require consensus opinion, making it very hard for any one person or group to scam the system. In fact, there has been only major security found in Bitcoin’s history, which happened in 2010 and was quickly resolved with little effect. 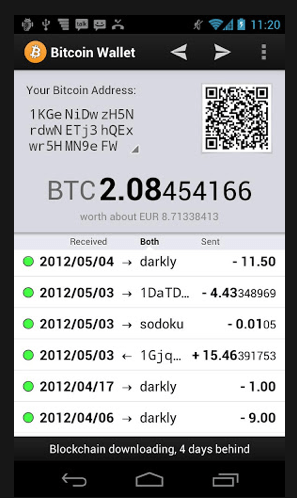 To use Bitcoin, the first step is obtaining a Bitcoin wallet. Although many think that a Bitcoin wallet is where you store your Bitcoins, this is not technically true. Since Bitcoins cannot be separated from the Blockchain (all Bitcoins have a transaction history), a Bitcoin wallet can more be thought of as a place that “stores the digital credentials for your Bitcoin holdings” and allows you to use them. 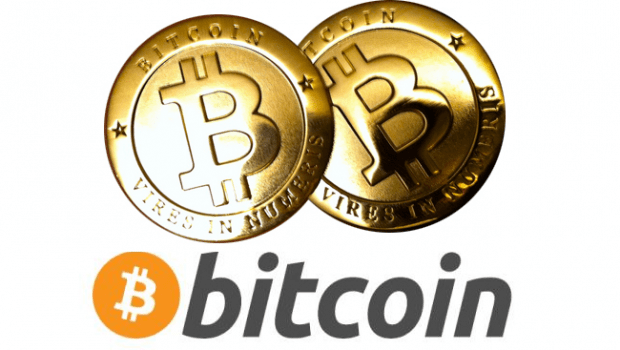 Bitcoin credentials consist of two cryptographic keys, one public and one private, hence the name crypto-currency. The public one is like your address for which others can send Bitcoins too and the private one is like your unique password to verify the transaction is coming from you by creating a digital signature, which miners use to verify your private key is correct without seeing it. The digital signature changes for each transaction. There are a variety of wallet types to choose from, which allow for a variety of different features, depending on what the user values. Software Wallet– connects you directly to the network where you are responsible for your own credentials and can directly spend them yourself. There are both Full client software wallets, which verify transactions directly on a local copy of the block chain, and Lightweight clients, which consult a full client to send and receive transactions without requiring a local copy of the entire block chain. Full clients are secure, but are more hands-on and require a full copy of the Blockchain, which is a lot of space (over 65GB as of 2016) for a single computer, while lightweight clients are easier to use such as with your phone, but require trust in the server. Online Wallet– credentials to access funds are stored with the online wallet provider rather than on the user’s hardware. This is much easier to use for beginners since it’s all set up for you, but requires trust that the wallet provider is secure and wont get hacked. Hardware Wallet– keeps credentials offline, while facilitating transactions. It is the most secure, but requires more personal responsibility for your credentials. If you lose your private key or your hardware crashes, you essentially lost your Bitcoins forever. Physical Wallet– stores the credentials offline. In this aspect, Bitcoins are made into physical coins using wood, metal, or plastic. It allows the user to physically hold and trade Bitcoins. Though some are made of valuable physical metal, most are collector’s items for the moment with very few actually in circulation or use. Satori coin is hoping to change that. The second step to using Bitcoin is to find a Bitcoin exchange where you can purchase Bitcoins for different currencies depending upon the exchange. Options include online exchange services like Coinbase, Bitgo, and CEX.IO; online exchanges like LocalBitcoins.com, which allows you to buy or sell Bitcoin through a variety of methods like PayPal or a bank transfer; and simply meeting up in person and exchanging Bitcoins for whatever reason you would like. The last step is to spend them, which, although limited still, is increasing steadily. Currently, one can indirectly use Bitcoins at e-commerce sites like Microsoft, Dell, Expedia, Steam, Newegg, and Overstock as well as directly at a variety a different mom and pop shops all over the world. I say indirectly for many of the major retailers who “accept” Bitcoin because they don’t actually accept Bitcoin into their own accounts. Instead, they use a third-party merchant processing company like Coinbase or BitPay to mitigate the risk of Bitcoin price volatility by allowing the merchant to accept Bitcoin and immediately convert it into US Dollars, Euros, or the currency of the merchant’s choice. 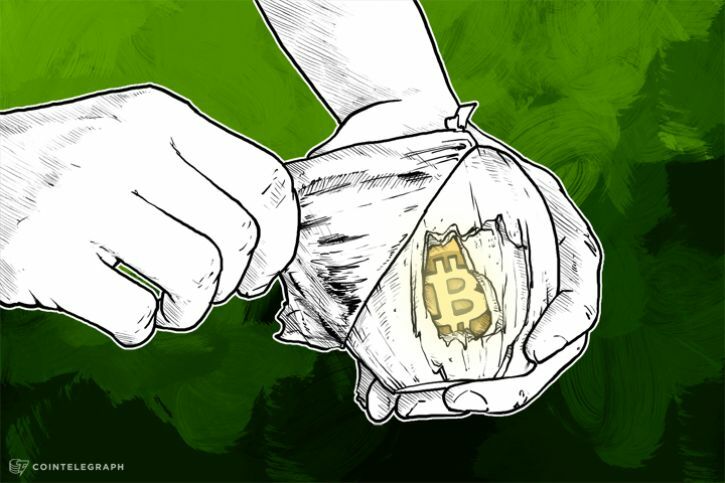 Nonetheless, the customer is still allowed to use their Bitcoin for purchase, which should suffice for the time being. Coinmap and AirBitz are helpful to find local businesses accepting Bitcoins. Another easy way to use Bitcoins is to buy gift cards to the store you wish to shop at, being many gift card companies, like Gyft, take Bitcoins as payment. Finally, there are discounts that can be had by using Bitcoin, such as Purse.io, which matches individuals wanting to buy items on Amazon at a discount with others wanting to buy Bitcoin with a credit card or via PayPal. Sometimes one can save up to 15-20% on Amazon purchases through this service. There are also lots of charities, which accept Bitcoin donations, such as Wikipedia, Red Cross, Amnesty International, United Way, ACLU and the EFF. At the end of the day, Bitcoin can be used for a large majority of transactions, especially in more advanced countries. It just might require some research, creativity, and lifestyle changes. These are the most basic ways to obtain and use Bitcoins, however there are a plethora of other technologies and services that are emerging, allowing more usability for Bitcoins. 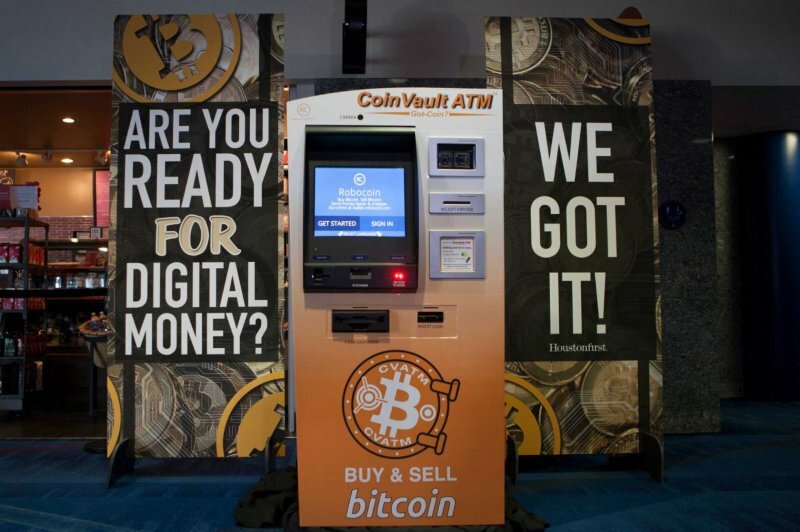 These services include Bitcoin debit cards, Bitcoin ATM’s, Gold-backed Bitcoin, other crypto-currencies (Alt. coins), smart contracts, phone/web applications, online Bitcoin-only marketplaces (OpenBazaar), and merchant processing services, as stated above. The Block chain technology has really only scratched the surface thus far, with start-ups happening all over the world based off the technology. No one is doubting the Blockchain technology and its ability to bring about peer-to-peer transactions, but the real question that everyone is now asking is whether Bitcoin will hit a homerun and be a revolution in money or whether it will collapse and lead to others stepping in as potential replacements. 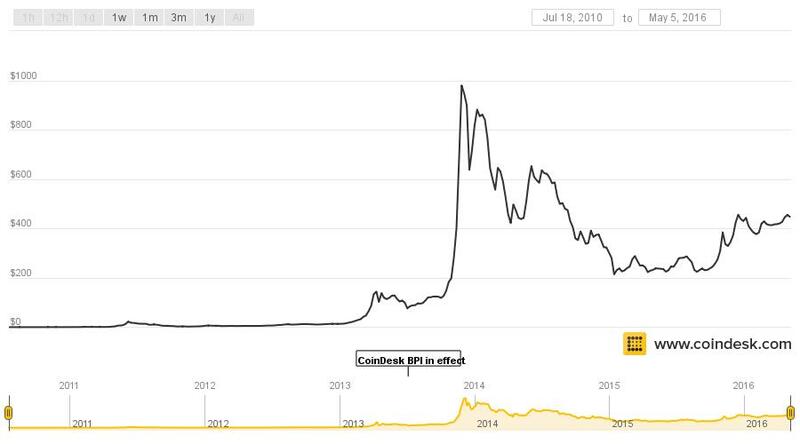 Before going into that, let’s first get a brief overview of Bitcoin’s history. Contrary to popular belief, Bitcoin was actually not the first digital cash technology, with ideas like ecash, bit gold, and b-money paving the way as the first crypto-currencies. Building upon these systems, the idea was of Bitcoin first introduced in October 2008, by a man with the pseudonym Satoshi Nakamoto, after he released a research paper called “Bitcoin: A Peer-to-Peer Electronic Cash System.” There is tons of speculation on whether Satoshi is one person or whether it was actually a group of developers like the one’s involved in earlier projects. In fact, there is a big debate heating up at this very moment, as a guy by the name of Craig Wright is claiming to be the infamous Satoshi. Some believe him, others do not. He said he would prove it by making a transaction using the Genesis block, but that hasn’t happened to date. Nonetheless, only one year later in 2009, Satoshi released the idea as open-source software, which basically meant that the exact details of the idea were public knowledge and anyone could use/build off it. Satoshi took a backseat after the release and instead chose two people who would have a significant stewardship role over Bitcoin: Gavin Anderson and Theymos (online username). 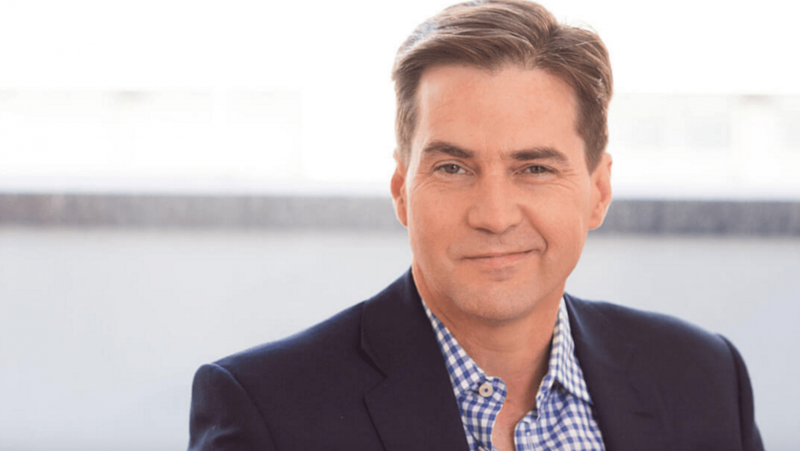 Gavin Anderson was the original lead developer of Bitcoin-core (security software that protects Bitcoin) after Satoshi went underground, be he later took a role as the “Chief Scientist” of Bitcoin, so that others could focus on developing Bitcoin-core. Theymos managed the public relations side of Bitcoin by running bitcointalk.org and moderating /r/bitcoin. Many of the remaining bitcoin-core committers along with Theymos became intertwined with a for-profit company called Blockstream, which has lead to a divide in the community that is discussed later in the article. Some of the major events, which have increased the adoption of Bitcoin, have been the sovereign debt crisis, especially in Cyprus, which lead to Bitcoin adoption as a way to transact/preserve wealth amidst collapsing economies. One of the other major contributors of adoption have been merchant processing companies like Bitpay, which as stated earlier, allow users to use Bitcoin at major retailers without companies having to operate in Bitcoin themselves. There have also been institutions like Okcupid, Wikileaks, and Overstock, which allowed Bitcoin use, furthering the adoption process. This hasn’t come without its downfalls such as Ponzi scheme speculation, government seizures of Bitcoins (Silk Road), and exchange collapses like Mt. Gox, which is discussed later. Amid many ups and downs, Bitcoin has developed into what it is today; the world’s largest digital crypto-currency with a Market cap (approx. 7 billion) that is 3% of Canadian budget, 1% of world’s largest corporation (Apple), 6% of the U.S.’s liquid cash in circulation, and larger than 30 sovereign countries out of 192. Currently Bitcoin has an exchange rate of about $45 for one Bitcoin, a figure that was at $315.75 on January 1st, 2015, $770.44 on January 1st, 2014, and a measly $13.41 on January 1st, 2013. It’s been a wild ride with highs above a $1216 (Nov 2103) only to be followed by lows in the 200’s in 2015, but since the start of 2015, the price has begun to stabilize or increase quite nicely, with much smaller fluctuations. Despite the roller-coaster ride at times, Bitcoin has weathered the storm so far, putting it in prime position to be a potential revolutionary pioneer in monetary systems around the world. It is pretty easy to see why Bitcoin can be such a revolution in monetary systems. The most profound thing about Bitcoin is that it operates off the grid, away from central bank and government control. With Central Banks printing their currencies into oblivion, worldwide debt out of control, and governments continually growing tyrannical, it’s paramount that a hedge against the system, like Bitcoin, rises as a possible solution and safe haven. Since it is mathematically decentralized by nature, it allows for a horizontal power structure that cannot be stopped/controlled by any central authority figure. In fact, it was estimated in 2015 that Bitcoin’s international computing network is more powerful than 525 Google’s and 10,000 Banks combined. There is simply no direct target to take out since the network is so large and spread out all over the world. The other revolution in Bitcoin is its peer-to-peer network design, which allows it to avoid taxes and make exchanges quickly across borders, with little to no transaction fees. In fact, there was a $16.5 million dollar transaction made swiftly across borderlines with a 6 cents transaction fee, which if done by PayPal at 2.9% per transaction comes out to $188,500, or worse, done by a Bank Wire at 3.5% per transaction, which comes out to $227,500 and takes 5-7 business days to process. Clearly, banks are very threatened by Bitcoin because it can potentially render them useless in a large portion of financial transactions, and governments feel threatened because those transactions cannot be taxed easily. In a way, Bitcoin allows you to be your own Bank and transact independently in a much cheaper, secure, and efficient manner. Another major advantage for Bitcoin is that it already has a built up infrastructure with tons of capital investment in a whole host of areas, compared to that of other crypto-currencies like Etherium, Dash, and Litecoin. It is not to say that these currencies cannot also do well, because in fact competition could be good for everyone, but Bitcoin is still largely ahead of the others in terms of market cap, infrastructure, brand recognition, and usability/users. This has really helped the price stabilize, which as of 2015 on, has been fairly consistent. With the technology being so revolutionary, Bitcoin has a high chance of success if it can stabilize price and continue to scale properly. The other major advantages of Bitcoin is its limited supply, which mean Bitcoins are scarce and cannot be created indefinitely like most central Banks do with fiat currencies, which dilutes the value of that currency and punishes savers. Bitcoin is also open source, meaning that it’s hard to cheat and that it can constantly be innovated upon, unlike most other technologies, which are copyrighted for personal profit only. Finally, Bitcoin is pseudonymous, meaning it is secure for the most part and allows for anonymity in financial transactions, especially if using the Tor browser and constantly changing your public and private addresses. There is also no chargebacks, which allows for a more secure and reliable transactions for the seller, since the buyer or third party will not have any access to their Bitcoins since all sales are final. There are however, escrow services, which can require certain conditions are met before transactions are confirmed. 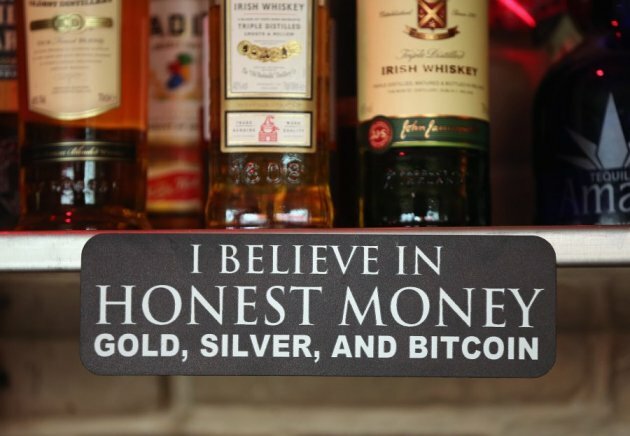 While there are much more talk about in terms of Bitcoin and its advantages, the major point that should be hammered home is that Bitcoin allows the honest people of the world to bypass the current corrupt financial system, which has been deluded and destroyed by central banks as well as tightly controlled, taxed, and regulated by governments. It is truly a design, which allows the people to create a new financial system that is independent of the current system or at the very worst creates a hedge against it, which could force the current fiat system to get its act together. This is especially important now, as major currencies all over the world are becoming increasingly volatile, debt ridden, and on the verge of collapse, while at the same time governments are implementing capital controls to keep the system afloat. This was well documented in Cypress and Venezuela, which has seen large increases in Bitcoin usage amid financial collapses that froze banks and halted commerce. We all know money is what makes the world go round, so if we are to build a better future, changing the monetary system should be at the top of the list. However, despite the profound changes that Bitcoin can bring, it is far from a safe bet that it will be successful. The most obvious major hurdle with Bitcoin has to be its direct threat to the current power system, especially governments and banks. It’s important to remember the sheer size and power of the financial system, as well as the interconnectedness of the government with the financial sector. They are not going to go away quietly and just let Bitcoin steal large sections of their market. Although they might not be able to stop Bitcoin, they can make it incredibly hard to use and punish those who don’t pay taxes or use it in illegal grey areas. Banks are already flexing their muscles by refusing to hold Bitcoins in their portfolios and refusing loans/business accounts to those companies who chose to operate in Bitcoins. Since the economic system is highly centralized, not operating in the current financial system makes it incredibly hard for businesses to get financing, pay expenses, and purchase assets. Governments are also threatening Bitcoin’s adoption by overplaying its potential use for illicit activity and money laundering. Government officials constantly echo this; with Russia going as far as to say that it may put people in jail who choose to use Bitcoins. Also, Bitcoin is not actually considered sovereign money, so if the government gets real tyrannical like it likes to do, then businesses/individuals could get punished for operating in Bitcoin’s. Since they know they cannot stop Bitcoin, the government/financial system seems to be trying to counter it by making it making hard/risky to use as well as developing their own move to ban cash in hopes of having their own digital fiat currency system. They have even been looking/investing into the Blockchain technology, despite totally ignoring Bitcoin. It is still unclear exactly what they hope to gain by using it, but many are speculating that their new RSCoin is being used to create a platform where they can have the entire financial system on one system and therefor track and monitor the whole thing. This could make it very hard to avoid taxes and find tax havens. There are other problems associated with Bitcoin, such as it’s steep learning curve due to its highly technical nature ,as well as its fiat nature, since technically its backed by nothing physically. Also, it is still a volatile currency with a low number of users (around a million), increased competition, and many speculative traders looking to profit off its up’s and down’s. It’s still not entire easy to use either, being there are still many businesses who have not adopted Bitcoin as a viable payment option for their services. It also lacks complete anonymity (unless you use Tor), which could put you in a grey area legally. Finally, it is not entirely safe from power centralization, with those early rich investors able to buy up a significant amount of Bitcoin and the core developers having more say as to where the system goes in the future. Bitcoin also doesn’t have the best reputation, especially since Silk Road, an online marketplace where you can buy drugs, guns, and other illicit things only using Bitcoin, was shut down by the FBI and consequently ripped in the media as a “dangerous” currency. Also, with it being encrypted and the government waging a media propaganda war against all forms of encryption, the government has been aiming to tarnish its reputation as a place where “terrorists” and other criminal launder money though. Then, there was also the catastrophe at Mt. Gox, which was a Bitcoin exchange based out of Tokyo in 2010, that was handling around 70% of all Bitcoin transactions before it unexpectedly went bankrupt in 214. Around 850,000 Bitcoins, belonging to customers and the company, were stolen straight out of the Mt. 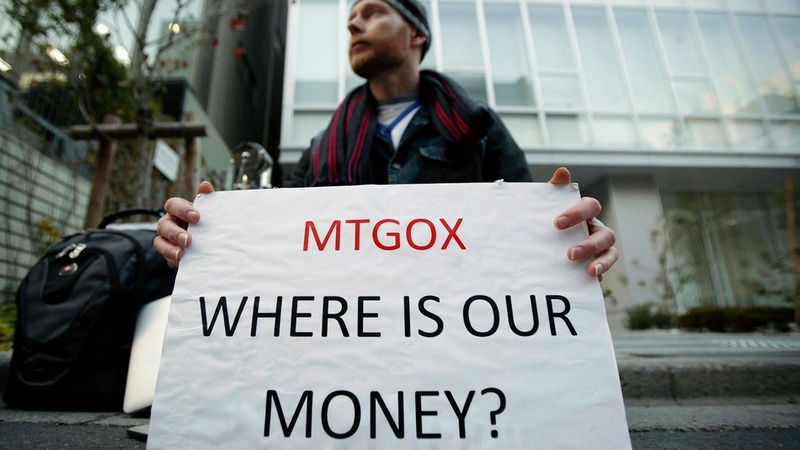 Gox hot wallet over time, beginning in late 2011, an amount valued at more than $450 million at the time. Although 200,000 Bitcoins have since been “found”, Bitcoin’s reputation would take a major hit in the eyes of the public, especially being such a new technology involving money. Finally, one of the biggest problems facing Bitcoin is the divide within its own community, which has pitted people against each other for control over the future of the system. If anything is going to destroy Bitcoin, it is definitely going to be the destruction from within. One of the biggest problems facing Bitcoin right now is the internal divide within Bitcoin about how to deal with the scalability of Bitcoin moving forward. As Bitcoin scales in size and takes on more transactions per day, the 1MB block size has become too small and inefficient for wider adoption/usage. This has lead to large divide in the Bitcoin community between those in favor of increasing the block size and keeping everything on the Blockchain (Classic) and those in favor of creating “sidechains” off the network and utilizing a lightning network to create off chain payment channels (Blockstream/Bitcoin Core). There is some overlap amongst some ideas, but those are the basic two camps. The divide has actually gotten so bad that the Bitcoin Reddit community has split into two subreddits, /r/bitcoin, which is run by Blockstream and /r/btc, which has adopted more of a classic approach. Many in the btc sub have claimed that heavy censorship is going on in the /r/bitcoin, censoring anything that has to do with bigger blocks or the classic approach. The claim Blockstream is facilitating this censorship and that it is doing so due with heavy capital behind it that is looking to profit. The original idea of Satoshi was to increase the block size as Bitcoin scaled in size, so those in favor of this classic approach have become quite upset about the current about face going on when it comes to side-chains and the lightning network. Many have begun to claim that this all happened when the company Blockstream came into existence. They claim that Blockstream is intentionally halting the increase of the bigger blocks despite the community’s insistence upon it because they want to push consumers into a fee market side-chain, which Blockstream will control and heavily profit from. Basically, it is like creating a premium layer for people who want to pay for a quicker more efficient payment system of the Blockchain and sabotaging the original Bitcoin network by creating a volatile experience for users on the Bitcoin Blockchain. This will flood users to the side-chains. In many ways, Blockstream seems to have cornered the market and developed into the central power behind Bitcoin development, being it has pulled many miners and core developers into its camp. Some of the original adopters who are ideologically decentralized, have jumped ship as a result, turning towards Alt coins like Etherium or just getting out the Bitcoin game all together. In many ways, there is a growing contingent of classic users that think Bitcoin might have been infiltrated, whether jus naturally by greed or covertly by intelligence agencies. Backdoors could be built, which could monitor data and entrench everyone within a big brother type system. It remains to be seen what will happen, but all possibilities are worth considering and should be monitored closely. The counter to this claim is larger blocks make full nodes more expensive to operate. Therefore, larger blocks lead to less hashers running full nodes, which leads to centralized entities having more power, This makes Bitcoin require more trust, which weakens Bitcoins value proposition. The other argument is that it will lead to higher transaction costs, which will give more incentive to miners, since it is they who maintain the system. Finally, they argue that having bigger blocks will make getting a consensus on the Blockchain for forks in the chain much harder to do, which slows down the networks ability to develop. There are so many variables to take into account that it is hard to pinpoint exactly what Bitcoin will morph into as we move into the future. What is clear is that the technology will march on whether it’s through Bitcoin, Alt. coins, or some other competitor that has yet to emerge. If Bitcoin is to remain the top dog in the Blockchain world, the time is now because the competition is only going to heat up as we move forward. If Bitcoin can resolve its infighting, remain decentralized, allow for increased scalability, and get some of the bigger companies and services to adopt the use of Bitcoin, then Bitcoin could very well hit a homerun and be at the forefront of the inevitable change in currency and financial systems. It already has the initial infrastructure built up as compared to the other competitors, giving it a massive head start. It really could change the world for the better and make a lot of people a lot of money in the process. On the flip side, Bitcoin could succumb to the pressure mounting within its own community and completely collapse. Many businesses and people could be out a lot of money, as the rapid selloff of Bitcoin could happen at an accelerated pace. It cannot continue at its current slow pace of adoption, as competing systems are gunning for them. The world and its users are not going to wait for Bitcoin, especially the decentralized diehards who see the centralization of power picking up in the Bitcoin community, yet long for a world of freedom and decentralized power. Those people could potentially jump ship, meaning some if its earliest and biggest adopters are gone. There are ways the community can bypass Blockstream, but it requires more developers/miners to get on board, which so far hasn’t happened. It’s also important to note that it could be successful, despite its infiltration. It will just not be the utopian system some decentralized ideologues long for. In the end, the future of Bitcoin comes down to scalability, adoption of the public and ideologies of financial systems. The currency will only work as real money if more people start to use it with higher frequencies. Currently, the rate of adoption has still been slow, but that could change at any time. It will also be interesting to see whether Bitcoin will turn into a centralized system of power, with the current financial system hijacking it and integrating their plans upon it. This is a real ideological threat, since Bitcoin was originally developed as an alternative to the central banking disasters of the last few hundred years. The community really needs to find a way to build bridges and work together because in reality they may need all the proposed solutions (lightning network, bigger blocks, Segwit, sidechains, etc) if Bitcoin really grows. This could really be accelerated too, if governments start buying it up as a strategic global asset, which could trigger an arms race in purchases. The hope is that power stays decentralized and the Bitcoin Blockchain is not sacrificed for the benefit/profit of those with mal-intentions. Eventually the current economic system will collapse. 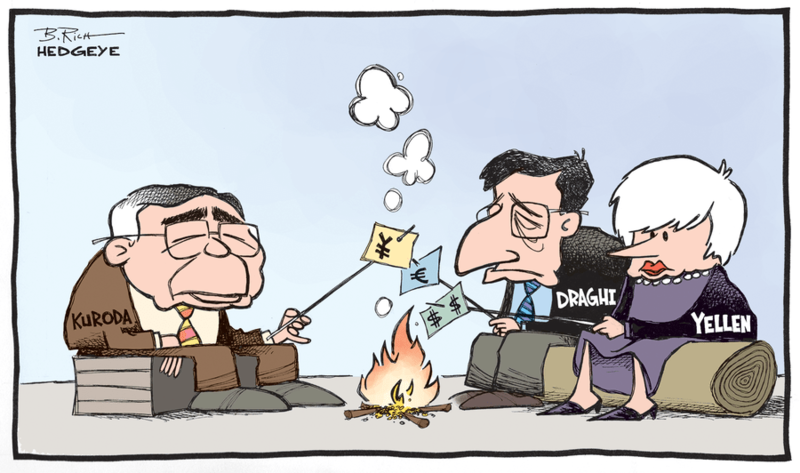 In fact, its already showing clear signs of it, as a global monetary reset seems to be happening as we speak. It will be very interesting to see how Bitcoin plays into the next paradigm of money that inevitably is coming. I have not lost faith, but it’s safe to say I will be watching closely through the next year, as to how Bitcoin handles the current issues. Only time will tell what will come of Bitcoin. Will it be a revolution for good and change the world’s monetary systems, will completely collapse/be corrupted by the elite, or will it fall somewhere in between? Being it is a decentralized network; it is we the people who will inevitably decide its fate. The future now rests within out hands, so there is no time to sit back and observe. It’s now time to revolutionize money, whether that’s through Bitcoin or not. Comment from discussion obiewanbitcoin’s comment from discussion "GitHub request to REVERT the removal of CoinBase.com is met with overwhelming support (95%) and yet completely IGNORED. ".